Jerald's Secret HQ: Uy! It's me! And we’re bound to change orbits and collide with each other’s interests. This might be one of those incidents. Lucky me. Hi, I’m Jerald. Welcome to my blog, where I talk about creativity and pop culture. Most of the topics I write about involve comics, graphic novels, science fiction, movies, manga, anime, toys, video games, television and music, mainly because these things reignite our passions and fuel our soul. As a former journalist, you can expect me to follow the subject-verb agreement, gather the 5Ws and 1H often missed by an average blogger, and write with relevance and authenticity. Now working in the field of content marketing, I use this blog as an outlet for me to write about the things I love and the brands I believe in. Jerald Uy blogs about creativity on his eponymous site, covering topics on pop culture, lifestyle and comic books. 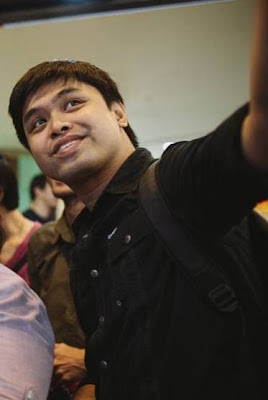 His work and insights about comics, blogging and movies have been featured on ABS-CBN, HeroTV, GMA, GMA News TV, Solar News Channel and Global News Network. He is one of the moderators of the fan group Marvel PH and founder of All-Star Comics Squad. Under Geekcraft, he has done digital marketing, publicity, and media management for movie studios, Taguig City's lifestyle campaign #thinkBIGTaguig, pop culture store Filbar's and comic book Buster. He is a former correspondent and producer for GMA, RPN and TV5. 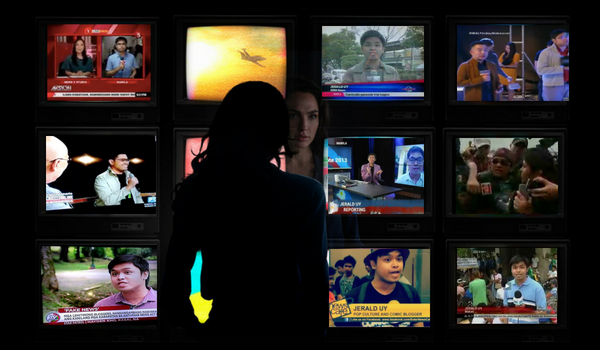 As a producer, he was part of NEWS on Q's coverage of the bombing of the Batasan Pambansa in November 2007, which was given a Finalist Certificate for Breaking News Coverage at the 2009 New York Festivals. In 2017, he was chosen as a fellow under the second Bloomberg Initiative-Global Road Safety Media Fellowship, implemented by the World Health Organization, Department of Transportation and VERA Files. He lives in Makati City, Philippines and online at jeralduy.com. Wonder Woman 1984 / Warner Bros.
To get in touch, email me or say hello on Facebook, Twitter or Instagram. I also video blog at Uy! Anong Balita?